When I was 37 years old I gave birth to my first son. When I say he was my whole life I am not exaggerating. I was very thin when I got pregnant, and only gained 27 pounds. Lost most of it pretty quickly and was back in my jeans in a couple of weeks. And I’d gripe a bit every now and then about the 5 or 10 more pounds I wanted to lose. He died suddenly of bacterial meningitis (before there was a vaccine), two weeks before his first birthday. I almost died too, again no exaggeration. I think I lost down to 114 pounds on my 5’10’ frame. I remember standing naked in front of a mirror crying and crying and wishing for stretch marks and some weight to prove that I was a mother too. It’s been 15 years ( well, in two days) since his death, and the scars you can’t see still hurt way more than any you can. I’m fortunate that 10 months after Will’s death I brought home a personal savior in the form of my adopted son! He has been nothing but a joy in my life.I don’t think I could have returned to the world of happy without him! Wow, what amazing words. I went through 2 pregnancies many years ago and have the road maps to prove it. Now my sweet girl is expecting our first grandchild and one of her biggest concerns is what pregnancy will do to her tiny body. I am saving this for her and hopefully your words and bravery can encourage her. Thank you. My son asked what they were and I told him that’s I used to be a mermaid and I had to give up my scales and tail to be with daddy he accepted this because he knows I love the water. You’re awesome. Thank you for your bravery and speaking wonderful truth, and for reminding me that I’ve changed, but I’m even more beautiful than before because of my motherhood. These scars and stretches are badges of honor and tell a tale of love! Still working on believing that all of the time-some days I mourn the old perky youthful body I once had (and took for granted at the time! :/ ). I feel damaged, old. But I know the truth-I AM A MOTHER, a really awesome dedicated mother, and I grew and birthed angels. And now my body bears these scars and stretches to remind me of just how strong I’ve become. Loved your post. I’m not sure if it’s the lack of sleep or that I have been a mess of tears and pain for a week, but I’m still sniffling after reading this. I go in today to get the staples removed from having a hysterectomy. I have 4 beautiful girls of my own and 3 more kids I share with my husband, and even a granddaughter at my young age of 40. Still, I am reeling at what feels like such a loss. You are beautiful, wear your badges with pride. I vote for something in a color that makes people turn their heads. I’m practically giving you a standing ovation over here! We should be hiding our bodies away just because they’ve battled life. We should be proud that they won! Such a beautiful and important post. Thank you for putting yourself out there. I will definitely be sharing this with my readers at Unexpectant.com. Would be deeply appreciative if you read my blog http://keeponpath.wordpress.com/ and add to your reading list – looking forward to reading more of your posts. Have to confess I don’t know what a urinal cake is? ha ha … will have to keep reading. six children and thirteen grandchildren and I thought nothing could bring me to tears ever again, but you did! Ahhhhhhh, my heart is so very full. I needed this. Thanks so much for this. I often don’t feel my body is beautiful, even if my hubby can’t keep his hands off when we are alone. 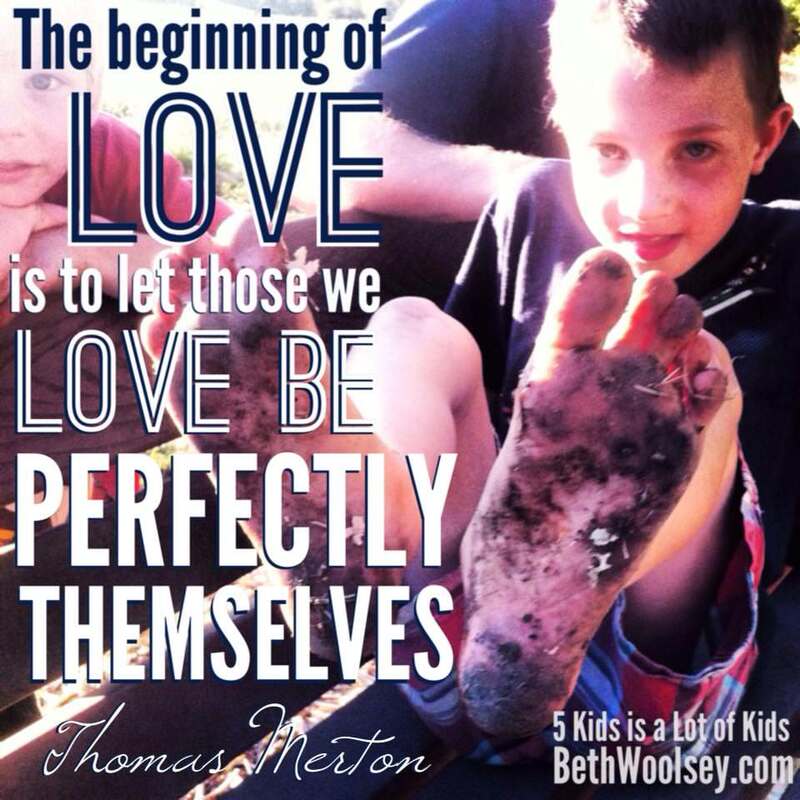 I want to love myself in every way so my children (particularly my teenage daughter) will too. This really helped me to gain a better perspective. As the mama of a micro-preemie born 3.5 months too soon, I can honestly say I’m jealous of those beautiful stretch marks. Your body did what it was designed to do and created several healthy and glorious lives. A worthy sacrifice and one that I would gladly trade my still-perky body for in a heart beat :-). Those marks mean you created life and I’m glad you’re encouraging other women to embrace them for what they represent :-). It’s taken me 46 of my 46 years to appreciate this body. It’s given me my sweet daughters and has been through a lot. I’m just now appreciating if even though I’m not where I want to be weight wise. I’m so thankful to be vertical and breathing on my own. Thank you reminding me how very very lucky I am that God gave me this mix of skin and bones! And you are the real deal sister. Thanks for the smile today. Thank you! that is all….. I applaud your bravery!!! While I have told many a momma about my stretch marks I’ve NEVER been brave enough to show them to anyone!!! My sister and I have always joked that we should go into high school/middle school health classes and show the girls what the real deal is when you go through pregnancy and childbirth!! LOL. I just had my third child and my belly looks just like yours…I’ve had some friends/acquaintances suggest the tummy tuck route, but quite frankly I would rather go on a fantastic vacation with my husband than ever spend that kind of money on plastic surgery!!! I’m pretty content with it all at this point and really loved reading this. Great post! I’ve never met you, but I think I love you. And I think I love you a little more just because your underwear comes up to the exact spot right before your belly button to keep the skin that just wants to hang underneath in control. I’m 4’10, which didn’t give me much room for a baby…on top of it I had pre-e which made me swell up in places I didn’t know could swell, consequently leaving stretch marks in places I didn’t think I could have stretch marks. I love them for what they represent, right down to the big scar from my c-section. But this bravery you just shared, my dear, is the most absolutely wonderful thing you could have ever done for other moms out there. This is a must-read for mothers everywhere. I’ve been pondering how to get women to love their bodies as they are – I am not 100% there but more than I was even a year ago, and it breaks my heart to hear my friends put themselves down because our bodies aren’t 17-years-old anymore. Thank you! I also just happened onto your blog because a dear friend posted it on FB along with a comment she wrote. I am 60, mother of two, happily married for 38 years, and grandmother of FIVE! Your beautiful post gave me an entirely new way to think about my body, and for that, I am most grateful. Thank you. I especially loved when you describe your ambivalence about “the belly your husband caresses in the middle of the night which makes you wish he’d stop and hope he won’t?” — As a survivor of abuse as a child, I grew up with a body image that left much to be desired. How wonderful that we have husbands who love us for who we are, scars, stretch marks, bellies, and all! Thank you so much for your post. As a Mummy just embarking on third time round, and lucky enough to be free from stretchmarks so far, I think this might have been just what the doctor ordered! I’m almost hoping I get some this time round! Seriously, even without any tell tale stripes I’ve been constantly pregnant, breastfeeding or both for six years, my breasts are (to quote someone funnier) “like raspberries in the ends of pop socks” but the damage and breakage comes in other ways, late nights, early mornings, upside down days, we’ve all earned our badges of honour, we should wear them proudly and be proud of them in fellow parents.